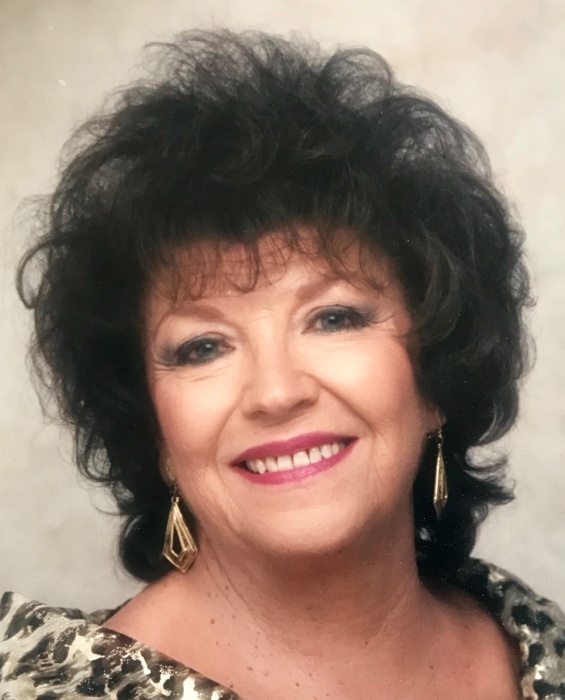 Mary Nancy Sullivan, 91, of Howland, entered peacefully into eternal life on Thursday, April 4, 2019 at 5:00 p.m. in her home under the comforting care of hospice. She was born March 25, 1928 in Roseto Valfortore, Italy the daughter of the late John and Teodora Policelli Giannini. At the age of two, Mary boarded a ship with her parents and older sister, Concelia, and set sail for a new life, arriving in Ellis Island before settling in Brier Hill neighborhood of Youngstown. Mary graduated from Rayen High School in 1946. She was proud of being a mother, housewife, hairdresser and travel agent. Mary loved to travel the world, always coming back with adventurous, funny, and exciting stories. She left an incredible legacy of love for her family. Her first love was her husband, Bill, her children, John and Darla, and her four grandchildren. Mary lived a very full, active, and often adventurous life. She will be greatly missed by her husband William A. Sullivan whom she married July 10, 1954; her son John (Laurie) Sullivan of Annapolis, MD; her daughter Darla (Charles) Cossette of Columbus; and her four grandchildren Kaley Cossette, John Larkin Sullivan, William Sullivan and Thomas Brody Sullivan. Mary also leaves her brother John (Carol) Giannini of Liberty; sisters-in-law Virginia Giannini of Austintown and Maureen Malys of Cortland. Besides her parents, Mary was preceded in death by her sister Concelia Novello, and brothers Philip and Michael Giannini. As evidence of her devotion to her grandchildren, two of Mary’s most cherished items were a handprint flower painting created by her young grandsons that hangs in her dining room with the inscription “Roses are Red. Tulips are, too. You’re the best, Grandma! We love you!! !” and a painted pre-school masterpiece lovingly created by her granddaughter at the age of 4 which has been prominently displayed for all to admire. Always focused on family, Mary often exclaimed, “If my children are happy, I am happy.” May our beautiful, Italian mother and grandmother, Mary, rest in eternal peace. Family will receive friends on Wednesday, April 10, 2019 from 9:00 a.m. until 9:50 a.m. in the Gathering Space of Blessed Sacrament Parish 3020 Reeves Road NE, Warren, Ohio 44483. A Mass of Christian Burial will be offered at 10:00 a.m. Wednesday, April 10, 2019 in the church with Fr. Peter Haladej officiating. A caring cremation will follow with inurnment in Kerr Cemetery, Weathersfield Township. The family is forever grateful to Julie Belden whose devoted and loving care made it possible for Mary to remain in her home with Bill. The family requests material tributes take the form of contributions to Southern Care Hospice, 5401 Ashley Circle Suite E, Austintown, Ohio 44515.